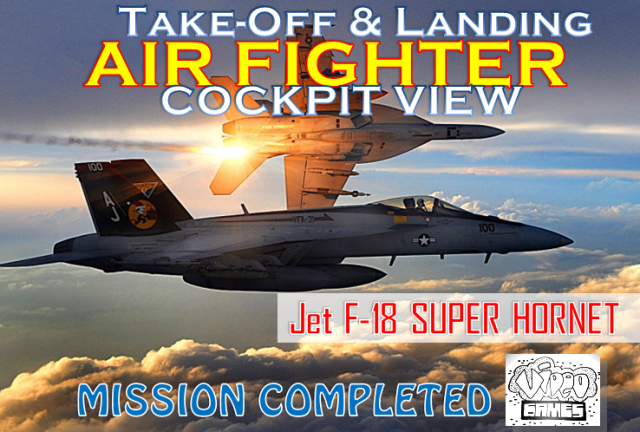 To complete a mission, the aircraft the F-18 Super Hornet managed to perform the Take-Off and Landing from Iraq Basra airport. But on the way, this peswat was intercepted by enemy fighters, the F-16 Jets and helicopters. Aerial warfare has finally happened, but in the end the victory has a jet F-18 Super Hornet. With the display of the Cockpit aircraft, the battle is quite interesting to be seen together. So Enjoy And Wach this video.